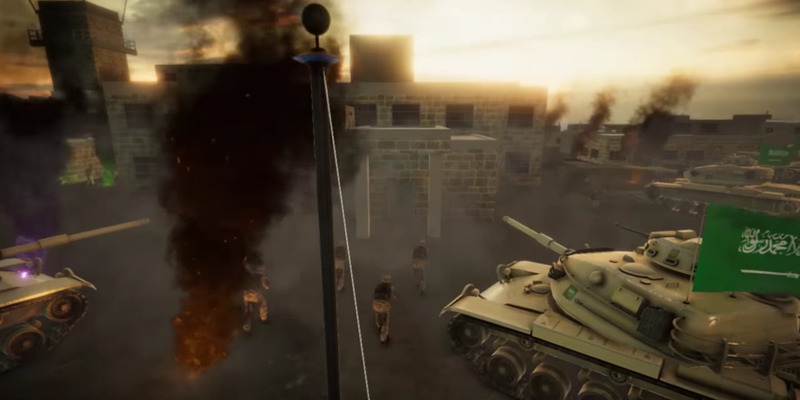 A video was posted in December 2017 showing the Saudi military responding to an unprovoked attack – and then laying waste to the Iranian military, liberating the country single-handedly. Saudi officials and media have denied that the crown prince or Saudi government personnel were involved in the video, but it looks strikingly similar to how a propaganda video would look. While Saudi Arabia’s military equipment is among the best in the world, it still has trouble countering Iranian influence in the region. A video showing the Saudi military responding to an unprovoked attack by Iran is now more relevant than ever after a catastrophic failure from the kingdom’s missile defences. 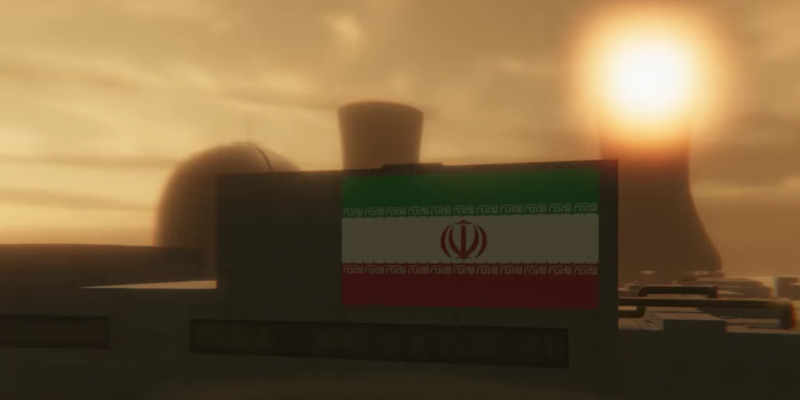 The video first appeared in December 2017, and shows Saudi forces single-handedly destroying Iran’s military and nuclear program in an all-out invasion involving an amphibious assault and paratroopers. While the video certainly exaggerates on a lot of details and the power of the Saudi military, its release says a few things about Crown Prince Mohammad bin Salman’s attempts to make Saudi Arabia into a more important player in the region. “The video is a basic first effort at creating nationalist military propaganda to counter similar (slicker) Iranian versions we have seen,” Michael Knights, a Lafer fellow at The Washington Institute who specialises in the security affairs of Iran, Iraq, and the Persian Gulf, told Business Insider in an email. Knights pointed to this weekend’s missile attacks launched by Iran-backed Houthi rebels in Yemen, and the rather embarrassing failures of Saudi missile defences filmed by witnesses. While the video predates this weekend’s attacks by almost three months, the Saudi military’s inferiority when it comes to facing off against the Iran threat is well known. The video, however, shows Qasem Soleimani, the leader of Iran’s Quds Force, surrendering to Saudi soldiers. Iranian civilians are also seen waving Saudi flags and holding pictures of King Salman and Crown Prince Mohammad bin Salman while cheering for their Saudi liberators in Tehran. Saudi Arabian outlets reported that the video was “produced by young people from Saudi Arabia,” and an official from the Saudi Arabian Embassy in Washington said that the crown prince was not involved in the video. But the six minute video shows an advanced knowledge of Iranian and Saudi weaponry and looks strikingly similar to what a state sanctioned propaganda video would look like. It notably received instant promotion by Saudi media, which is mostly owned by the royal court. There are actually elements in the video that are understated, according to Knights, like Saudi Arabia’s fixed wing strike capacity. “If Saudi Arabia chose to engage in punitive strikes it could, at the risk of Iranian retaliation, destroy any surface infrastructure along Iran’s coast, including all oil and gas export facilities, ports, power stations and industrial ventures, as well as many further inland,” he said. Knights did point out though that the Saudi medium-range ballistic missiles featured in the video are “not useful for much except carrying weapons of mass destruction,” which although Saudi Arabia currently lacks, may be pursued.